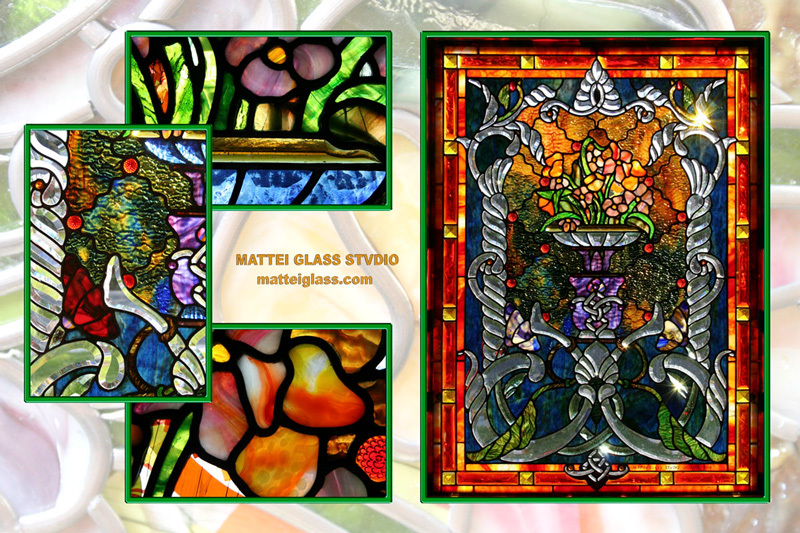 This panel combines hand beveling and opalescent glass in a Victorian style. The 5 color mix softly color phases while setting off the clear float bevel work. The outer border was beveled on 1" thick red dalle glass with selenium yellow bevels as accents.